Here are some answers to the most frequently asked questions about Don't Starve Together. What are the system requirements for Don't Starve Together? Who got Don't Starve Together for free? What if I bought Don't Starve before June, 3rd and haven't used my key yet? I bought Don't Starve from GOG, do I get Don't Starve Together on Steam? After June 3, will new purchases of Don’t Starve get Don’t Starve Together for free? What happens if I buy Don't Starve now? How does the friend copy work for Don't Starve Together? I registered for the closed beta; where's my invite/key? How many players can join/play on a server? Can I play Don't Starve Together with a controller/gamepad? Does Don't Starve Together have caves and ruins content? Does Don't Starve Together have an adventure mode? Does Don't Starve Together support Reign of Giants content? Can I stream or make videos of Don't Starve Together? Is Don't Starve Together coming to other platforms? Is Don't Starve Together coming to PlayStation 4? I have suggestions and feedback for the game, where should I put it? 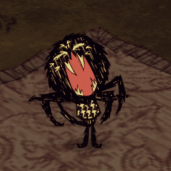 I found a bug in Don't Starve Together! Can you fix it? Please note that when hosting a server, you'll need to ensure that your system surpasses the system requirements listed below. Clients however, should be able to join in and play on servers as long as they meet the system requirements. There are some known issues running the game using Intel integrated chipsets (G33/G31, Q965/Q963 etc....) . If your GPU (graphics card) has the letters "GMA" in the model number, or has less than 256 MB of dedicated RAM, we are not able to support it. Don't Starve Together was added to the original purchase of Don't Starve. This means, that if you purchased Don't Starve at any time before June 3rd, 2015 Don't Starve Together was included with your purchase. If you purchased Don't Starve Together separately before June 3rd, you were given an extra copy of the game at that time, and you will not be given another key for Don't Starve Together. If you purchased Don't Starve from the Humble Store, or from our website and never used your Steam key, just head over to Steam, and once you activate your key, you will find both Don't Starve and Don't Starve Together in your library. If you buy Don't Starve now, you have the choice of buying just Don't Starve, or buying Don't Starve along with Don't Starve Together. Don't Starve Together is no longer being gifted to new purchases of Don't Starve. After June 3, 2015 will new purchases of Don’t Starve get Don’t Starve Together for free? No, we were only gifting a free copy of Don’t Starve Together on June 3rd, 2015. This means that June 2nd was the last day to qualify to receive Don’t Starve Together by purchasing Don’t Starve. If you had purchased Don't Starve from GOG before June 3rd, 2015, please contact us directly and provide us the game key that you received from GOG.com and we'll get it sorted out. If you have registered for the closed beta using a valid email address and have not yet received your invite/key, please contact us directly and provide us the email address that you used to register for the closed beta. We are supporting six-player client servers; however, dedicated servers can support more players. Yes! We have recently added full controller support to Don't Starve Together. Caves and Ruins content are now available for Don't Starve Together. Check here to find out how to host your cave servers. If you would like to host forest as well as caves/ruins dedicated servers, please see our dedicated servers settings and quick start guides. 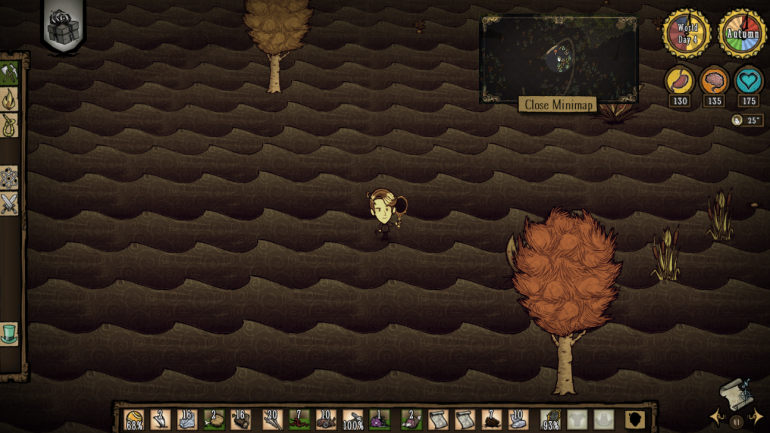 Don't Starve Together does not have adventure mode at this time. We have added the vast majority of the content from the Reign of Giants expansion into Don’t Starve Together. You sure can! We're pretty relaxed when it comes to YouTube and Streaming (Twitch, etc.) permissions. That being said, it would be super cool if things linked to http://store.steampowered.com/app/322330/, but it's not mandatory. You'll find more info about YouTube and Streaming video stuff in our player creation guidelines. Don't Starve Together is now available for PC, Mac OS X, Linux, PlayStation 4, and Xbox One. We don't have any announced plans for Don't Starve Together on other platforms at this time. If anything changes, or if we have anything to announce, we will be sure to let everyone know. Sign up for the Don't Starve Together Newsletter for news, announcements, and updates on the game. Yes it is! Don't Starve Together is now available on the PlayStation 4 via the PlayStation Store. Awesome! We welcome your suggestions for items, resources, and other stuff that you would like to see in Don't Starve Together. You should head over to the suggestions and feedback forum and let us know! If you think you've found a bug in Don't Starve Together, you should head over to our Bug Tracker and see if anyone else has had issue like your own. If yes, add to the discussion! If you can't find your issue, add a new one and we'll take a look at it as soon as we can. So DST is coming to PS4, but I didn't see reference to an actual date, only 2016. Has any time frame been determined yet? This is just a hunch, but if it ever is made for the XB1 it'll be after ANR is done for the PC and then ported for the PS4. Let's not forget they're also working on 2 other games, Oxygen Not Included and Hot Lava. If I purchase the Don't Starve Mega Pack or Best of Klei Entertainment Pack, do I get the second DST copy? 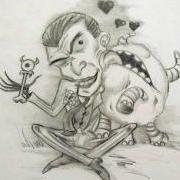 Is don't starve toget her going to have a pocket edition? will there be shipwrecked dlc or story mode added? Klei has no plans of adding SW to DST. Not sure about a storymode. So hang on- you don't have to buy a gift because it's already included? Is that how it works? I'm a bit confused. I want to give this to a friend, haven't bought it yet, do I need to buy a gift as well as buying it for me? EDIT: ok, I think I understand: it comes with the gift. I was confused by the Steam page about it- that didn't mention that you could get the game and the gift as a bundle. But if I'm wrong, feel free to correct me. Question, what does the rescue me server command do? Typing !rescue in the chat teleports you to land if you ever glitch out and find yourself on the water. Is there any forecast for the launch of DST for mobile devices? Can two players play the game on the same computer? Here's a tip: if you want to play in your own client server with more than 6 players you can easily increase that limit with workshop mods. Download "More players!" to increase the limit to up to 12 and "More players+" to go up to 64. They work great as long as your internet can handle it.